Sometimes I find myself with just too many photos to know what to do with! I take a LOT of photos, photography is one of my biggest passions. I love capturing life's little moments through a lens and treasuring them always. I think it is amazing that you can physically capture memories instead of having to rely on your actual memory! Dave and I often look through old photos of Alice, or us together before Alice (BA as we call it...) and remember all the little funny things that time sort of... forgets with the day to day chores. Sometimes, I look at these photos and I just wish I had a way of storing them better. Or displaying them. If I had a huge house I would print every photo out and stick it on the wall to admire. But I just don't have the room. I use this blog as a bit of an outlet for my photos. I love looking back at all the fun things we have done. 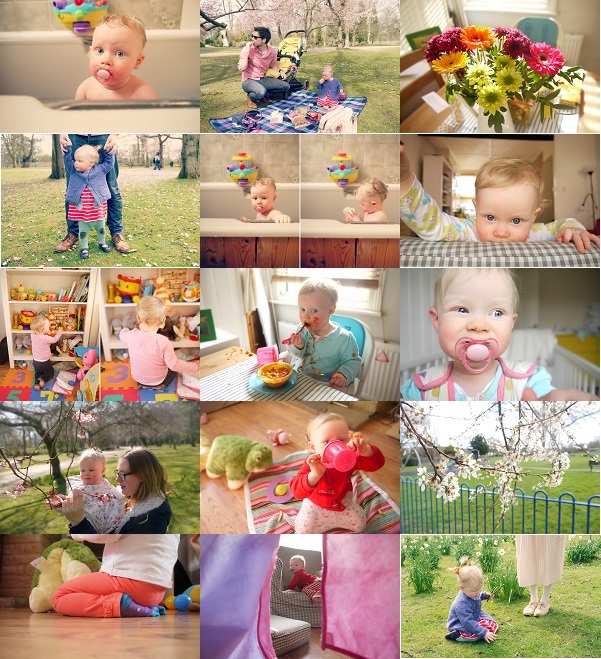 And inevitably this has turned my blog into a little bit of a family photo dumping ground! I know that's not what this blog was originally for, but I guess times have changed and so has the blog! It has become much less about stats and "meaningful" posts about something particular, and more about documenting our life as a family. I am more happy than I have ever been with this blog and I love being able to look back and see how far we have come as a family. I did have a thought about making this blog private. But I have so many lovely followers who leave such lovely comments that I just couldn't bare to shut it off from the world. So for now, it stays just as it is, where it is and how it is.